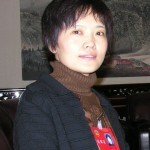 Academic Position Ruxiao Qu is a Professor at the Beijing Normal University (China). She teaches China’s foreign trade, international trade in the School of Economics and Business Administration. She also teaches Globalization and International Business at MBA and advanced international trade at Master/PhD program. She is director of department of International Economics and Trade, and director of Research Centre of Climate Change and Trade for Beijing Normal University. She is a member of China Society of World Economics and China Society of International Trade, and an adjunct fellow of APEC Research Institute at Nankai University. Other information She graduates from Beijing Normal University and got a Ph.D. in world economics. She was invited chief speakers in many national scientific conferences. She presented papers at several international conferences, and published almost 20 books and more than 100 papers in academic journals. Research focus Her main research topics are trade and environment, China’s foreign trade. Now she is the host of National Social Science Fund, Humanities and Social Science Project from Ministry of Education and key projects from governments and universities.